Share your knowledge and showcase you and your companyâ&#x20AC;&#x2122;s talents! Submit your ideas and join our community of experts in the Built Environment. Thousands of CAD files in DWG and PDF formats, so youâ&#x20AC;&#x2122;re sure to find that detail you need. ARCAT.com provides the most comprehensive on-line resource for building product information. ARCAT has free tools for each phase and every member of your team. Enjoy the freedom on-line at ARCAT.com for FREE, and no registration required! TIP - add CAD or details to your search to get what you need even quicker! his article will focus on presenting the Shared View tool. The tool, installed with the latest versions of 3ds Max, assists those who have Autodesk accounts with collaboration. The shared view supports bitmap types, many procedural maps, and textures (including OSL), Vray materials, and more. The Share button displayed in Figure 2 will upload the view to our Autodesk subscription account. Upon a successful upload, the dialog will provide two options for us to share our information. The first option is to view it online through a browser. Selecting this option will launch the Autodesk Viewer and display our scene (see Figure 3). The second option will copy the link to our clipboard to paste for email. Viewers have all the options they should need to review our work and comment. See Figure 4 with the exploded function selected and comments added for the demonstration with this article. The views remain active for 30 days. So far everything I’ve shared has uploaded quickly and without errors. Let me know how it works for you. Brian Chapman is an Autodesk Authorized Developer, creator of Pro-Cad.Net and a Senior Designer for an engineering firm located in Las Vegas, Nevada. Brian can be reached at procadman@ pro-cad.net. ith this month’s AUGIWorld focus being collaboration, I felt like covering something that I am passionate about. Having established views that are set up for quality review is a must. And not only the views, but associated view templates and filters as well. To this day I come across project workflows that act as if we live in a paper world and it is all about the construction documents. There is some partial truth to that; however, we really need to leverage all that Autodesk® Revit® offers. This is all basic stuff that we need to revisit from time to time to ensure our templates and our documented workflows are efficient. Visibility Graphic Overrides As shown in Figure 2, a simple graphics override can help identify the walls in the Architectural model versus the walls in your Structural model. In your project browser you can have a view set up already that is showing the wall category only, the discipline of the view is Coordination, and the name of the view makes it obvious what it will be used for. You can have coordinating section views as well. Make your views serve a specific purpose with isolated graphics and color overrides. This eliminates a lot of clicks and confusion while coordinating with other trades. Your Revit Structure project template should have some placeholder for other trades that will assist you in fine tuning your view templates. For example, in your Architectural Placeholder Revit model you may want to draw every architectural element so you can test your visibility graphics and view templates. Once this is established in your project startup template, you can select “reload from” in your Manage Links dialog box to redirect the placeholder to the actual Architectural model. You may have to adjust for coordinates, but your coordination views and view templates will immediately go to work for you in your efforts. Slab Edge Comparison Architectural models will use floors and slabs, which will also be found in your Structural model. Another recommended coordination view would be for slab edge comparison. Turn off all categories in your Structural model except your structural foundations, floors, and slabs. Override the visibility graphic display of your Architectural model and make the slab and floors a unique color. Test this coordination view with your placeholders in your project template. You may consider creating view templates for these coordination plan and section view settings. check the architectural floors against your structural floors. This is a perfect opportunity to assign the view template “temporarily” to your view as you are working. Starting View A great opportunity for keeping people informed during a project is the Starting View function found in the Manage ribbon. You can make a drafting view the Starting View in a project. Use that drafting view to post status, questions, or approaching deadlines. That way, when someone goes into the model it will be the first thing they see and instantly know the status of the project. If you have multiple trades working inside of Revit, you can take this one step further by having a Revit model that is only used to communicate to all trades. Everyone links in this “communication” model and makes it part of their Starting View. A BIM Coordinator can use this communication model to communicate across all disciplines working in Revit on the project. Sometimes stepping back to the basics is required to help launch you into the future. Itâ&#x20AC;&#x2122;s 6 PM. Chrisâ&#x20AC;&#x2122; coworkers are still at the office. Being more productive is no accident. Every AUGI member can receive a free subscription to The Blast. In larger firms with multidisciplinary departments…documented workflows become an absolute necessity. a standard for drawing consistency, a stable guide for project collaboration between departments, and a tool for training or retraining mind and muscle memory for incoming associates. are then created or altered based on these documented workflows to establish a consistent build and appearance to project drawings. They can be as complex as a 14-page outline for Designing ADA Accessible Curb Ramps, or as simple as a two-minute video on Adding Labels to a Pipe Network Profile. However, in creating the documents, the CAD manager must be aware that the workflow should be general enough for the beginner CAD user to follow, but not so basic that it fails to utilize the power of the software or the advanced understanding of the experienced CAD user. This middle-ground can often be difficult to achieve. However, with a few pages of basic procedure and valuable input from the design staff who will actually be using the workflow, the CAD manager should be able to get a handle on the skill level and depth of explanation required for the users. The construction of a documented workflow begins when a designer contacts the CAD manager and asks, “How do I…?” This, for me, begins a quest to not only find a way to perform the task, but also follow that up with research and testing to develop the best way to accomplish the request with a workflow that functions within our existing process. These procedures are documented in PDF format available to all design staff at any time. Many of these workflows are subsequently demonstrated in regular company-wide webinars that are recorded for future reference. Another beneficial idea that came from our users was to create a Video Library Index that makes finding the desired video more efficient. This index is categorized by directory and topic. By keeping a vast library of PDF and video documentation in an easily accessible system, collaboration between departments becomes more streamlined, training lessons are reinforced, and troubleshooting for the CAD manager can be as easy as “check out this video,” saving time and money. as how to handle the CoGo Points and Surface Reference when constructing the initial Building Information Model (BIM) standardizes the types of files Land Development should expect to receive. This gives them the opportunity to verify that they have a complete data set to begin the design. A documented workflow for how Land Design is to handle 2D Design Plan Graphics, 3D Model Data and where to appropriately use labels and text gives them the guidelines for creating project files that can be more efficiently used later by the Survey Department for construction documents. Survey will know the location of the data they need to complete their tasks. Between the departments there must also be documentation for how to handle demolition of the Existing Site Features or the addition of supplemental survey data, meaning that Land Design must now get their hands on the coveted survey data objects and understand how they function. Writing down these workflows can greatly reduce the amount of interdepartmental conflict that often occurs in multidiscipline firms. Other similar struggles can occur between Survey, which works in foot units in a Geo-coordinate system, and Structural Engineering, which works in inch units on an orthogonal plane. A documented workflow of how to incorporate Structural Engineering’s design into the Geo-referenced Survey drawings will go a long way towards expediting a positive project outcome. Experienced employees bring skills and talents that can be integrated with the current process. Their knowledge is a useful commodity. It is of intrinsic value to incorporate their ideas into the discussion. To make this a more positive transition, the veteran must appreciate the value of the current workflow before offering changes. This can only be accomplished if the workflows are documented. Get Started Today If you find yourself in the position of CAD Manager at a mid-sized or larger engineering company and there are not documented workflows for how the project drawings should be built beyond the standard “Make sure your line work is on the correct layer” speech, take the bull by the horns! Get started today. Write down how you personally build a project. Get input from your coworkers on how they operate. Evaluate the results. Research online for how others handle difficult issues. This is the hard part… make executive decisions. Follow that up by drafting your first official Documented Workflow and submit it to Management for approval. In due time, these workflows will prove themselves invaluable to you and your firm as they serve to streamline the standard project lifecycle, enhance the collaborative process between departments, train new designers in software functionality, and incorporate experienced acquired talent to your company’s procedures. Documented workflows also provide them with the basic understanding of the BIM process and following company standards for drawing content and presentation. Performance expectations may expand as the trainee shows potential for adhering to and adapting to the documented workflows provided. Incorporating Veteran Talent Veteran CAD employees coming to your company from a different firm will have been trained in workflows which may be, and quite probably are, significantly different from your company standard. Documented workflows should provide a step-by-step procedure for retraining their minds and muscles from “old habits” developed in their previous workplace into techniques more conducive to their new employers’ expected results. 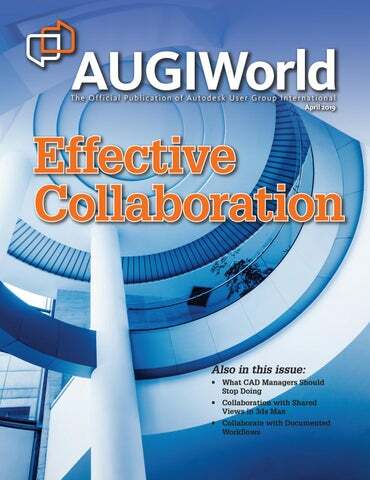 n March 2019 AUGIWorld, we looked at what a new Tech Manager should Start doing. Now we move on to the Stop list. Keep in mind that some might be offended when you begin talking about stopping something. It may be their pet project. It might be someone higher up the ladder that wants this item to be on the Continue list. Go lightly, but boldly move toward stopping the things that most people agree to terminate. Some things on this list are totally in your control, but for others it may take a bit of convincing. So here are some ideas on what you may need to stop doing. pronounced the higher up you go. In fact, even when all other things are not equal, your people skills often make the difference in how high you go.” This single piece of advice is worth the reading of the whole book. People skills will take you higher than tech skills. Tech skills got you here—but people skills will take you higher. Don’t jettison your tech skills, just stop thinking that tech is all it takes. People matter now more than ever. You can still continue to do the superhero stuff you used to do, but now on a grander level. You can fight the injustice of inequitable application of the standards by some. You can fight the nasty demons of personal CAD habits that tie projects into knots. And you can still maintain the courage to do CAD/BIM the right way. Stand tall, superhero, but also gather a league of heroes around you. with that, but we could give it another go.” As an alternative to “I think…” you might say “What do you think about…?” The whole point is to not come off like a know-it-all or done-it-all. You can invite others to learn what you know or try what you tried without shutting them down. Help them to learn and discover—it sinks in better that way. And when there is a success, it is “WE,” or “they,” not “I.” You can and will have personal wins, but don’t brag. Following close on the heels of the last item, stop doing “only” what you were doing before. You need to keep the tech savvy meter high, but now you need to add new skills. Not just people skills, but also systems analyst skills and project management skills. You need to become a planner, negotiator, trainer, tester, and a corporate culture wiz. Building on strong tech skills and adding new management skills will allow you to work under, with, and over other staff. You need to work with the office politics and blaze trails around and through them. You are now part of the management team. You really should not have been bad-mouthing those above you, but now you need to zip your lip even more. You can still disagree with some decision and tell management that, but it must be done in private, not around the water cooler (do they still make those?). You are now part of the overall management team. Even in a large organization where you may be on the lowest rung, you are now seen by those around you as management. You have a foot in both worlds, production and management, but now you need to understand that the management hat is on your head. Stop being so Controlling This may sound counterintuitive, but let me explain. You got here by controlling and improving production. You streamlined, refined, customized, and narrowed the list of deviations from the standard. But now you may want to consider not being so “in control,” or at least stop acting like you are in control of everything. Some early career managers try to over-control the processes they oversee. They clamp down because they finally have the clout. But people don’t like that. They want to know that you will make things better, but not at the expense of their personal processes. When you need to make changes to processes… nudge, don’t shove. If you need to control, do it wisely and slowly. Don’t turn over every apple cart at the same time. Next time we will dig into the Continue list. What should you continue to do and seek to improve? Until then, manage well. Mark Kiker has more than 25 years of hands-on experience with technology. He is fully versed in every area of management from deployment planning, installation, and configuration to training and strategic planning. As an internationally known speaker and writer, he is a returning speaker at Autodesk University since 1996. Mark is currently serving as Director of IT for SIATech, a non-profit public charter high school focused on dropout recovery. He maintains two blog sites, www.caddmanager.com and www.bimmanager.com. own intensity, which is handy when toggling between smooth and replace through shift-modifier. Smoothing − The new smooth brush gives much better results as it operates on all influences of a vertex at once. For even greater control, the more precise “relax weights” tool is there, which also can smooth across mesh boundaries and thin meshes. Compatibility − ngSkinTools operate on standard Maya skinCluster (also known as “smooth skin”), so no custom nodes will be required to use your rig. Performance − All the computing-intensive operations are being handled by a C++ plug-in, and are being constantly tested on high-resolution meshes. ollaborating effectively in a team can be defined as all of us being on the same page. Defining a layer standard in AutoCAD® can be a very effective way to maintain standards and have easy collaboration within the team. Layers are a fundamental feature of AutoCAD, used to apply colors, linetypes, lineweights, transparency, as well as control plotting characteristics. Not using layers efficiently or placing everything on layer 0 will only cause rework and headaches for the next person working on your drawing. It is critical to understand layers and use all the tools within AutoCAD to your full advantage. In this article we will review how you can use the features of layers to improve the process and set up a collaborative approach to complete the task or goal. <Discipline Designator> - <Major Group> <Minor Group> - <Minor Group>- <Status> Discipline Designator: Required; the AutoCAD Civil 3D templates use the C and V discipline designators, which stand for Civil and Survey/ Mapping. The discipline designator is one letter. Major Group: Required; identifies elements such as roads, topographic elements, and storm sewers. To adhere to the standards, custom Major Group fields are not allowed. Minor Group: Optional; identifies sub-elements such as road profiles. You can include up to two minor groups per layer name, and you can define your own custom Minor Groups. For example, the layer C-ANNO-TABL-TEXT has two Minor Groups: “TABL” and “TEXT,” both consisting of four letters. Minor Group: Additional layer classes. Status: There can also be a one letter status indicator on the end. Your project discipline and company standards define how you create a collaborative layer approach that can be used for your company. Using this system along with templates can prove to be a very effective implementation plan. Architectural drawings follow a similar layer standard from the American Institute of Architects (AIA) published guidelines follow a similar layer convention: https://www.aia.org/. The layers are more designed for architectural projects rather than civil. AutoCAD 2019 All you need to do when you begin a new drawing is select that template file, then ADD the layers for your standard and save the file as shown in Figure 5. Next time you create a new drawing with this template all your standard layers will be imported and included within your drawing session. Next up, letâ&#x20AC;&#x2122;s talk about organizing our layers with filters. A more detailed way to stay organized is with a properties filter. Upon selecting this button, you have more flexibility based on the layer names you choose. In this example we are going to give a simple criterionâ&#x20AC;&#x201D;including all the layers with a prefix of A and then we are going to add all the layers with a prefix of V. Keep in mind you can use wildcards (*) after the character to include all the layers with those features as shown in Figure 8. Managing your Layers with Filters There are two kinds of layer filters in AutoCAD. These filters allow you to create named sets of layer selections involving many different disciplines. The two buttons shown above the filter section will navigate you to the correct filter as shown in Figure 6. After you add the letters with the wildcard, select OK and you can now view the layers in your properties filter as shown in Figure 9. To create a group filter, select the New Group Filter button in the filters list as shown and the filter will be added. Follow the steps in Figure 7 to create your group filter. 1. Rename the filter to a logical name. 2. Highlight all the layers you want to be in that group (they do not have to have the same properties or a common name). 3. Drag the layers to the filter. Create a Macro to Force a Standard Layer You can use macros to create standard layers within your file. Follow the sequence below to create a button macro that will set a current layer and its properties from a button. By selecting the button, the macro will force any current layer properties to the new properties in the macro. 1. Type CUI at the command prompt then layer in the command list to get the command as shown in Figure 11. 2. With your tool palette open, left-click and drag the Layer Properties Command onto your palette. Note: we only want to get the image and the start of the command in there. Figure 12 shows the layer command added to a blank palette. 3. Right-click your layer command in the palette (Figure 12) and select properties. ^C^C_-layer;m;AUDEFAULT;C;2;;LT;HIDDEN;;;^C Follow the sequence as is on the command line. Notice the number of returns which are represented by a semicolon in the command string shown in Figure 13. Enter the command string and select OK. Your button is now ready to useâ&#x20AC;&#x201D;forcing a standard layer in your drawing. Violations 1. Incorrect Layer Name (Our standard is to have a prefix of two letters). 2. Color set to “white” and not to “Bylayer” (Bylayer is our standard). 3. Linetype set independently of the layer (Bylayer is our standard). To solve this problem, I opened up one of our company standard detail drawings and checked all the properties and verified it was completed correctly and, more importantly, to our standard. I then saved the file as an AutoCAD Standards file named MY_ COMPANY_STANDARDS.dws. We are saving this to a standards file so we can use it again to check other details against our standard. Next, open the detail drawing created by the intern. Move over on the Ribbon > Manage Tab and this time select Layer Translator as shown in Figure 15. You also need to check the layer translate settings by selecting the settings button in the lower left portion of the window. The settings button will control what we want forced onto each layer. This is important as in some instances you may not want one of these items selected. the same name as the translated drawing, with a .log file name extension. Show Layer Contents When Selected Specifies which layers to display in the drawing area. It’s time to map our layers. Figure 16 shows the Layer Translator mapping setting. Conclusion We have only scratched the surface of layers and the tools you need to develop a successful standard to help collaboration within your design team. Layers can help you turn on, off, filter, and display the objects you need to stay productive. Assign default properties to certain layers and lock those layers for better control. Layers help you stay organized within your drawing and provide clear communication to all regarding the purpose of the layer. All these factors play an important role within CAD standards and collaborating effectively at your company. If you start the drawing correctly you will have fewer problems during the later phases of the design process, which will provide a more collaborative approach to how we work. 1. The “translate from” section. Take your time and look at the names and properties of the layer you are translating from and verify this is correct. This section shows the layers which are contained within your current drawing. 2. The “translate to” list. This list shows the layers that you loaded from another file or created as part of your standard. You can use the Map Same button to quickly map layers with the same name (that may have different properties). 3. Layer translator mappings. In this area you can see the setting that will be converted after the translation is complete. As you define your layers to map, they are listed in the box at the bottom as shown. You can edit the properties on the news layers using the edit button, remove mapping with the remove button, and save mapping configurations with the Save button. Sam Lucido is a CAD Services Manager with Haley & Aldrich, Inc. He has more than 25 years of experience involving design, user support, and customization. Sam is an AutoCAD certified professional and an Expert Elite Member. He uses his vast knowledge about AutoCAD and Civil 3D to help provide support to engineering and design teams by holding hands on workshops and online training. Sam is a top-rated Autodesk University Speaker and an AUGI Board Member. You can reach Sam at CADProTips.com or by email at lucido1373@gmail.com. 4. When you are done, hit the translate button in the lower right of the window. Don’t worry if you make a mistake—you can save the mapping file and start over. other design teams within the BIM 360 Docs platform. Last but not least, InfraWorks model can be shared by using Shared Views. In this article I will discuss how to use Shared Views for collaboration. Once activated, the Shared View stack appears. Click the New Shared View button to create a new Shared View (Figure 2). The Create a Shared View dialog box appears. In here you can assign a shared view name, the extents of the model, and bookmarks and properties to be shared. If the model is small, I would recommend selecting the Use Entire Model option. If you want to define the area of your model you would like to share, uncheck the Use Entire Model option. Then use the small pull-down next to the BBox to access the Rectangle or Polygon option (Figure 3). After clicking the Share button, InfraWorks will spend a few seconds generating and uploading the Shared View. Once completed, the Create a Shared View dialog box appears (Figure 4). From here you can copy the hyperlink webpage to email to other design teams or clients, or you can open the Shared View through the View in Browser option. When viewing the Shared View model through the browser, the model is displayed with the free Autodesk Viewer web application. You may notice that the model will not have the same rich, highresolution visual display as the InfraWorks application. Navigating in the model through Autodesk Viewer will also be somewhat different than InfraWorks and a bit sluggish. Orbiting can be controlled with your left mouse button. Panning can be controlled with your right mouse button. In addition, zooming controlled could be reversed compared to what you may have set in InfraWorks. The navigation controls can be changed by clicking the Settings icon in the upper left-hand corner of the display screen (Figure 5). The Autodesk Viewer The Autodesk Viewer is a free viewer that allows users to view Shared Views models and take advantage of a few measurement, visualization, and collaboration features. Within the Autodesk Viewer, the user can view different proposals, First Person views, and section views. In addition, collaboration features such as markup and comments can also be used to make design changes instantly. The shared view is available online for 30 days, but can always be extended To improve performance and navigation, I highly recommend going into the Settings, Performance tab and turning on the Smooth navigation option (Figure 6). Then go into the Appearance tab and turn off all visual options (Figure 7). To take advantage of the commentâ&#x20AC;&#x2122;s features, users would need to sign in with the Autodesk Account. At the upper right-hand corners, users can also print or create a PDF of the model view. Screenshots of the current visual display can also be created (Figure 8), downloaded as .png file format. The Autodesk Viewer also contains a Share feature (Figure 9), which allows the user to share the model with other users with a few control sharing options such as Explode Enabled, Section Enabled, Model Browser Enabled, and Measure Enabled. The shared option feature will create a new browser hyperlink that can be copied and shared out. To control the visual display of objects such as roads, trees, coverage areas, water areas, and builds, the user will need to access the Model Browser feature (Figure 10). icon. This will provide you access to Copy Link, View in Browser, Extend and Delete and Show Resolved options (Figure 12). In conclusion, InfraWorks Shared View provides powerful and user-friendly collaboration tools that allow designers to share their 3D models with other designers or clients quickly and easily. Tony Carcamo is President of Civil CAD Learning Solutions in Dallas, Texas. He has 21 years of experience in the civil engineering field performing different task from surveying, platting to full site, utility and drainage design. In addition, he has 10 years of CAD Management experience with several engineering firms. Tony is also a blogger, on most Autodesk committees and council groups, president of the DFW BIM Infrastructure User Group, certified professional in AutoCAD Civil 3D and InfraWorks 360, and an Autodesk Expert Elite member. AUGI is introducing three new Membership levels that will bring you more benefits than ever before. Each level will bring you more content and expertise to share with fellow members, plus provide an expanded, more interactive website, publication access, and much more! t’s amazing how the construction industry is unrecognizable from years ago. I remember it as a linear path from negotiation to construction. Everyone had a part to play and was largely only involved with that part. The field had minimal communication with the design team outside of RFIs and submittals. However, as buildings and construction software have become more complex, we find ourselves handling more and more of the overall construction effort for the team. With BIM 360®, this has sent our collaboration effort into overdrive. For those who have started working on projects that rely on BIM 360, there is a definite change in the way we communicate design intent. On the design side, the workflow formerly relied on what an architect would design and distribute to the rest of the team. This would come in the form of zipped CAD files that were periodically sent out according to the design phase, whether it was design development, bid documents, or addendums and bulletins. Now, with BIM 360 we can interact with each other more regularly to convey our challenges and ideas to each other. I have seen how the BIM process has changed over the years—from sitting in a conference room with all the other trades for sometimes half a day discussing clashes, to being able to call in from anywhere and address action items as they present themselves. and focused. Navisworks® is still beneficial to use, however, as it is an easy method to load your model into the saved merged model to make sure there are no problems created by recent work prior to uploading. The last thing a BIM coordinator needs is to solve one clash, only to create two more. Another tool I have found useful is inserting Navisworks files (NWC or NWD) into Revit®. In the Insert tab there is a tool called “coordination model.” Clicking on that icon will open a dialog box where you can add Navisworks files into Revit. The workflow is similar to inserting a linked Revit file. With this method, the most current layouts for all trades can be visible in views. BIM 360 surprises mid-project and will give BIM coordinators an idea of how they should model their tradeâ&#x20AC;&#x2122;s equipment. Therefore, there are a few things Iâ&#x20AC;&#x2122;ve found that need to be examined at the start of a project in order to ensure that the BIM process is smooth going forward. First and foremost is developing a plan for corridor hierarchy. That may sound like preferential treatment, but it is not intended that way. Most MEP pipes, duct, and conduit run in corridors. A planned pathway for the various trades sets a baseline for the BIM coordinator to adhere to. There can always be areas where the location can be switched due to a clash, but setting a designated space for the trades ahead of time will provide a path for the BIM coordinator to take on an initial run of modeling their discipline. To give an example: cabletray will always need to be accessed from below; therefore, it should always occupy space right above the ceiling, preferably close to a wall with sufficient space for it to be accessed from the side and above. Mechanical, electrical, plumbing, and others should all get a designated spot based on their accessibility. All too often I have worked on a project where this has not been set up initially and each BIM coordinator finds themselves making multiple offsets to get to where they want to go. This takes a while to fix and a solution may be more costly. All Hands on Deck It’s very important that all trades have input into the project prior to engaging in the BIM process. It creates quite a situation when a trade finally has a signed contract and is ready to start modeling, but the rest of the team is already halfway through development of the coordinated model. If any trade hasn’t yet been invited into a project and the BIM process needs to be started, it would be a good idea to provide space for them to use in the future. I can’t tell you how many times I’ve been on a project where a previously unaccounted for trade suddenly has to add their system to the coordinated model. This kind of late addition can become extremely costly. It is a good idea to ensure all disciplines are accounted for when planning the BIM process on a project. Besides MEP, this can include fire protection, fire alarm, medical gas, vacuum tubing, pneumatic transportation tubing, as well as telecom and all associated low-voltage systems. In addition, if a specific equipment vendor is going to provide structurally supported equipment or needs space that is normally occupied by MEP systems, then they should be invited to collaborate in the BIM process as well or work with their associated trade if a BIM modeler is not available. Pre-planning is essential before starting the BIM process on any project. This is especially important on projects where an existing building is being refurbished and various systems will be reused. The amount of up-front research and collaboration that is done prior to modeling will pay off that much more for the team in the end. It can be the difference between a project running late and over budget, and a project that is able to meet all the sites’ needs in a comfortable timeframe as well as providing valuable cost-saving solutions. We have the technology we need now to work better than ever as a multidiscipline team. There’s no reason for a lack of communication, even if teams are working from separate parts of the world. Just be honest, open, and plan ahead. Dominique Majon is a BIM coordinator for Guidepost Solutions LLC. He has more than 19 years of experience with AutoCAD and more than 8 years of experience with Revit and Navisworks. Dominique has worked on projects all over the continental USA as well as some projects overseas. His specialty is in electrical, telecom, security, and low-voltage systems design. He has worked on a diverse range of projects including museums, high rises, distribution centers, data centers, retail, and healthcare including hospitals, specialty clinics, and proton therapy cancer treatment centers. For complex production pipelines, X marks the spot. Now available with an overclocked, 18-core, 9th gen Intel® Core™ X-series processor and up to two real-time ray tracing NVIDIA® Quadro RTX™ GPUs, the new APEXX X3 is ideal for 3ds Max, Maya, and a host of other professional applications. Edit feature ﬁlms, create stunning VFX, or deploy cutting edge VR with the extreme multitasking workstation built for your complex production pipeline. 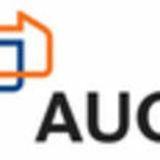 Autodesk User Group International, Inc.